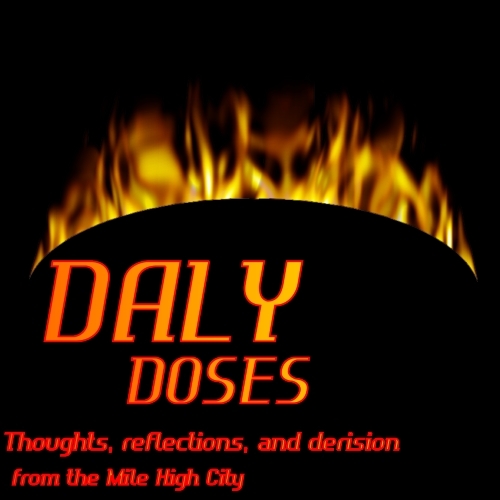 September 15, 2015 – Welcome to Daly Dose Sports- Your dose of sports and sarcasm. The NFL season is now underway and I think I have the league all figured out. The Buffalo Bills and the St Louis Rams are headed to Super Bowl 50. Peyton Manning can no longer play and should have retired 10 years ago. Tennessee Titans rookie quarterback Marcus Mariota has the release of Marino, the poise of Montana, and the face of an angel. The Seattle Seahawks are finished and will never be heard from again. And the Oakland Raiders are still bad. Of course Peyton Manning did face one of the top defenses from a year ago in a new offensive system and a rebuilt offensive line. And Mariota will be the second coming of Joe Montana provided he can face the Buccaneers every single week. And the Seahawks will probably get Kam Chancellor back, figure out their offensive line situation, and they will be right back in the playoffs. And the Raiders are still bad. By the way, the reason that Dolphins defensive lineman Ndamukong Suh and Bengals defensive back Adam “Pac Man” Jones weren’t disciplined after their plays on Sunday is because the league is afraid that their rulings would be overturned anyways. And also because Suh is going to face Tom Brady twice this season. And they are looking at two birds with one stone, if you know what I mean. Big college football game here in Denver on Saturday as the University of Colorado faces off against their rival Colorado State. And when I say “big” I mean big to the students and alumni of both schools and literally to no one else on the planet. Both football programs are mediocre and have been for some time now. Welterweight champion boxer Floyd Mayweather beat Andre Berto on Saturday night and has now retired at 49-0 matching former heavyweight champion Rocky Marciano and he tied Joe Louis with his 26th world title victory. Mayweather says he is content with that record and will never fight again. By the way, if you paid for that horrible fight against an overmatched Berto, I have some ocean front property in Aurora to sell you. What am I saying? If you actually paid for that fight you can’t read this anyway.